You might not expect it, but Pokemon Black and White are brave games, ready to take risks that other games in the Pokemon series have shied away from. Its philosophy is all about regeneration. After its predecessors spent 15 years building up a collection of over five hundred monsters, Black and White has chucked them all out and started again with 156 new ones. That's bravery, right there. But you won't miss them, at least not for long. 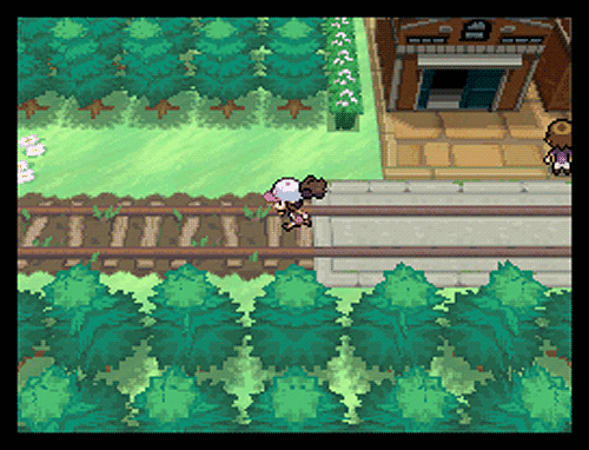 Pokemon Black and White's monsters quickly find their way into your affections. They're not all as brilliantly designed as each other - there are a few properly weird products of the human imagination in here - but they've got character, and there's a good balance of different Types introduced throughout the 30 to 40-hour story. You'll see new faces right up until the end. And even after the end, there's much more to do. All the old Pokemon make an appearance after the main story is over, giving you an absurd number of critters to collect - 649 in total. Some of them can only be caught by connecting to the internet and downloading them direct from Nintendo, or putting your Pokemon into a Dream World on your PC where they encounter new friends and items. Within the game, the bottom screen shows a nifty new gadget called the C-Gear that tracks infrared, wireless and internet creativity, letting you trade with others and battle each other at any time. It even passively gathers information about other Trainers while in sleep mode. The connectivity options are easily the best of any Pokemon yet. It's easier than ever to share and compete. It also looks just brilliant - as good as anything else on the DS, and a world away from Diamond and Pearl's bright but functional look. Pokemon's monster design has always been exceptional, but otherwise the graphics were rarely better than tolerable. Now the battles come alive with cute, cool and entertaining monster animations, the cities are constructed of distinctive 3D buildings, and towns are connected by towering bridges that stretch over sparkling water and reveal distant skyline vistas. The sprites are bright and crisp, long grass sways in the wind, and the world's weather changes along with the seasons once every real-time calendar month. New Pokemon appear every month, lakes ice over during winter to give you access to new areas, and some monsters even change their appearance. There's a load here to keep things interesting over the long term - not least the never-ending quest to catch 'em all. 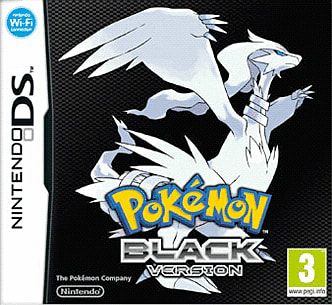 Black and White make several small changes to the Pokemon formula that add up, overall, to a significant improvement. The biggest one is a change in the distribution of experience points: monsters now get a far bigger share of EXP when they defeat foes stronger than themselves. This not only evens out the process of building a strong and even team, it makes over-levelling impossible. Grinding - what little there was of it - has been completely eliminated. Pokemon Centres and Marts have been merged into one building, and there are Pokemon healers dotted around caves and inter-city Routes to prevent you hiking back to them three times an hour. TMs, the items that let you teach Pokemon new moves, are now infinite use, too. It's easier and less risky than ever to experiment with and customise your team. 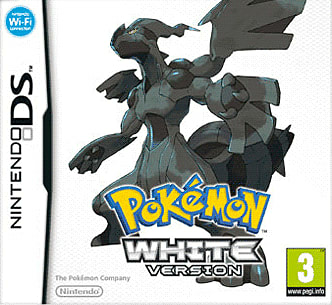 By most standards, Pokemon Black and White are easily the best in the series. They make everything feel new again, which is quite an achievement in a series that's been so set in its ways. If you're a lapsed Pokemon fan, these games will do a lot to draw you back into the fold, and to keep you there - and if you've never tried them before, now's the perfect time to jump in. Incredibly deep - 100 hours plus. Some of the new monsters are lame.